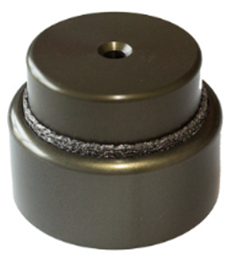 Vibration Data Center Control Suspensions designed to minimize Vibrations in IT devices. Installed under existing or new racks, useful for Isolate in Legacy and New Development Data Centers. Following the ASHRAE T.C. 9.9. STRUCTURAL AND VIBRATION GUIDELINES FOR DATACOM EQUIPMENT CENTERS. Isolation of high frequencies by elastomeric M1 Class sole upon request. This sole is non-slip and ensures the protection of raised floor. Different dock adaptors to fix to the rack depending of vendor and model.